R ationel was founded in 1954 in Denmark to focus on strong workmanship and innovation for modern window production. Since its conception, Rationel has paved the way for made-to-measure window and door products, putting customers first and producing special, unique design features. Today Rationel has an international presence across Denmark, England, Ireland and Poland, and continues to manufacture high quality windows and doors that are durable and designed to last. Take a look at how this range has been used to enhance a stunning new build home in Aberdeenshire. 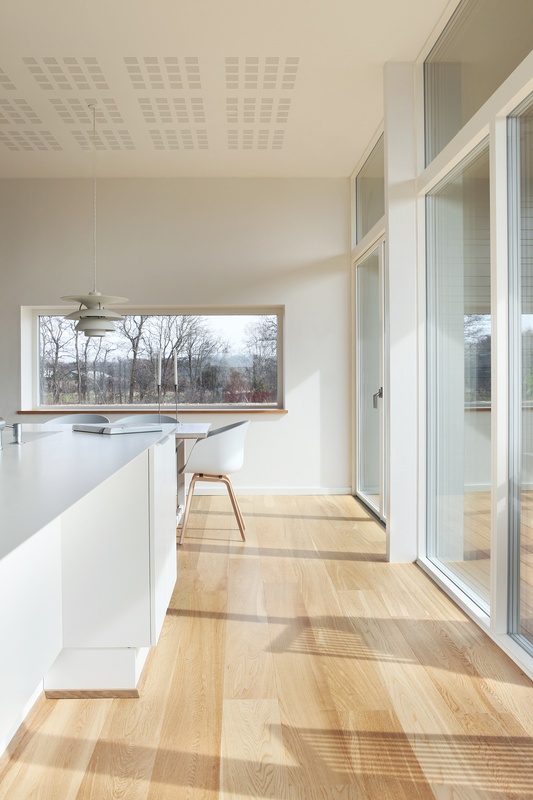 By choosing Rationel you’ll benefit from bespoke, high quality window and door products that can be tailored to fulfil your unique design vision. Each and every product that we design and manufacture is crafted to house three generations of your family, and built to the Secured by Design standard. In addition, our windows and doors will help you create an ideal indoor climate, by bringing the light and warmth in and keeping the cold out.